I was going to write something thought provoking last night for today's post. Then I decided to actually get those income taxes done. I've got Turbo Tax and all that good stuff, but with my wife's business booming, and a bunch of stock option exercising last year (I've been at my company for over 10 years, had to use 'em or lose em), my taxes were a bit more complicated this year. So my brain got fried, and I decided that we'll be getting a tax "person" next year. I'm getting the point in life where I'm finding more and more that the price paid for convenience is most times well worth it. 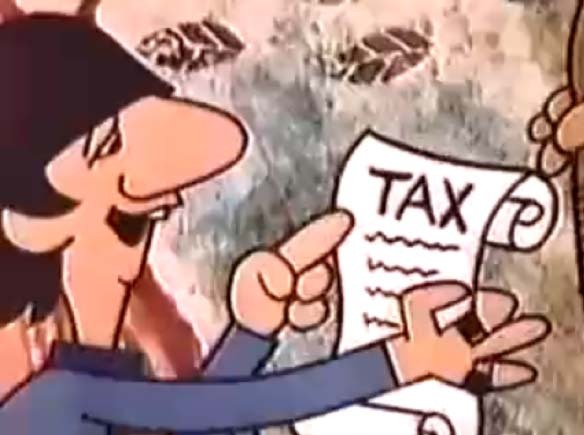 Maybe Ringo can do my taxes? So I'm going to mail in today's post with a tenkara video from the folks at Tenkara USA. You may have already seen it on some of those other tenkara-centric blogs, but for those who haven't...here's 18 minutes of Japanese guys waving graphite cane poles and talking fish via subtitles. Now let's hope the weather cooperates today. Rain is in the forecast...but the township Easter egg hunt is supposed to be this morning, and I've got tickets for the Phillies/Marlins game tonight. I think there's a less than 10% chance that we end up attending both events. We'll see. Yes, I have found that paying people to do things to give me more free time is well worth it. Yeah, been a bit crazy with the whole eBay thing. Lots of changes. The options I used were from last summer...got virtually the same price at the time...helped me get that new Subaru. I'm sure you can afford some professional help....Mr. "I Exercise Stock Options"
I can't wait for the day when I pay $1M in taxes. I'd love to pay those kind of taxes too. Remember...when your salary is tied to stocks, it just means your base pay is that much less..win some and lose some. We have a CPA do our taxes. She schedules our appointment (Feb 19th this year), does our taxes, emails us a signoff form for e-tax, and we have our money back within 7 days. Pretty smooth, me thinks. Thanks for posting the video, enjoyable but I did not see any Mastering. I did see a couple of middle aged guys making the rounds at the center of attention teaching those that don't know where fish hold, how to capture their attention and catch fish. I disagree with some of the theory as well. I do not always present to the best spot first, I guess my reason is not so obvious. I'm going to have to give myself a little credit as I did not see any magic. I see experience, no aha moment. Good for people new to tenkara, absolutely. I am after something completely different. The experience and sharing it. Thanks for posting, nice introduction to tenkara video for the experienced fly angler. CPA's make sense of tax codes an year to year changes. I use one and the process is efficient and without mistake. thanks for the reminder on the taxes....looks like fishing is out for me tomorrow...bummer! Ok, if Shoreman's in, I am too. Maybe I can find a "does taxes for trout" kind of person. Thanks for dropping by Adam. I guess the term "Master" is relative to the one speaking it. Another vote for CPA...next year it shall be done. Not me...this year. Broke even on the deal, which I guess is the ultimate intent. Sorry Uncle Sam's keepin' ya down. I have some pink foam tape, yours if you promise to use it. And yes, I could not agree more, the term, "master" is relevant to those using it.